Posted on Tuesday, November 15th, 2011 at 19:17. 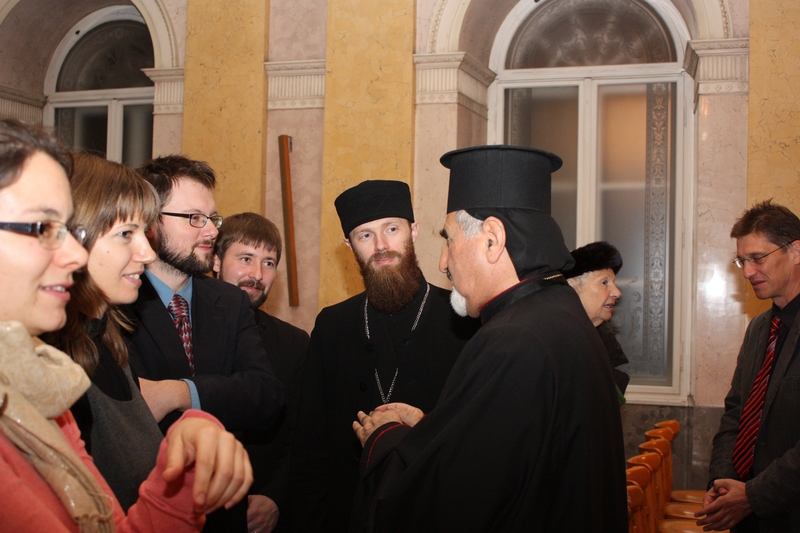 10 Nov 2011 – The ITI Center of Eastern Christiaan Studies (ECS) went to a lecture in Vienna given by His Beatitude Patriarch Igatius Youssif III, the Patriarch of the Syrian Catholic Churches. 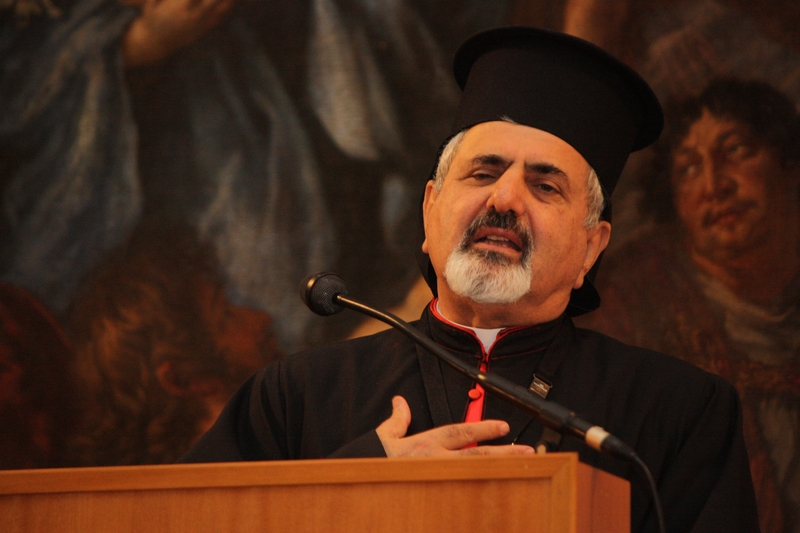 The lecture was organized by Pro Oriente and was part of a special synod for the Bishops of the Middle East. His Beatitude spoke of the suffering of his people in theMiddle East. He said that their main task is to give witness to the Gospel…to spread the Good News, but how can they do this, when their very presence is against the law? He wanted to send a wake up call to the EU and UN about their suffering. He said he finds it hard to encourage his own faithful to return, or to remain in the face of violent attacks. It is one thing to decide to remain and sacrifice yourself. It is quite another thing to demand this same sacrifice of your children. After the lecture, the ITI was presented to His Beatitude and was able to visit with him and the other bishops and representatives who were present from the Middle East and India. 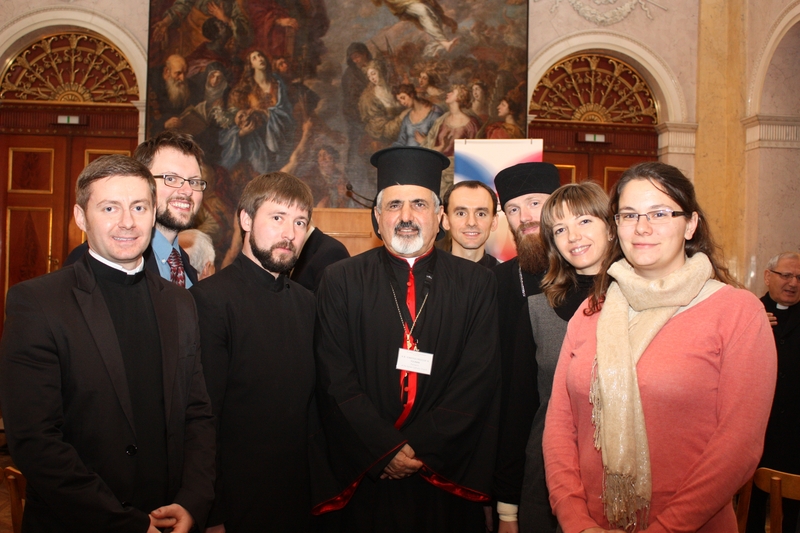 This event helped us to deepen our understanding of the situation of the Christians in the Middle East. Since some of our students belong to the Syrian Catholic Churches, it was a great gift to be able to meet His Beatitude in person and to build up relationships with these representatives in the hope of future collaboration.